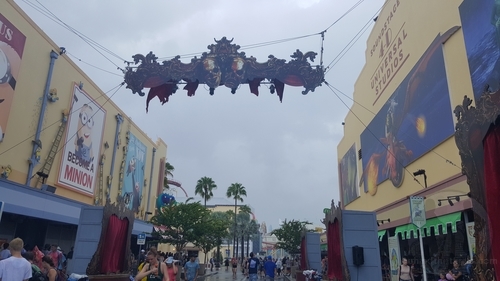 Behind The Thrills | Universal Orlando prepares for HHN, Jimmy Fallon and more! 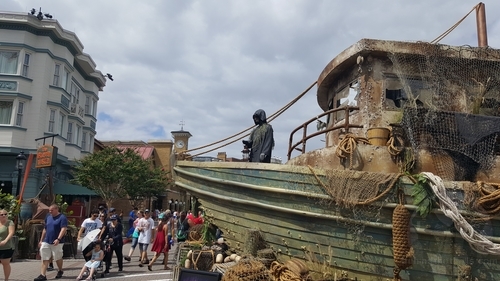 Universal Orlando prepares for HHN, Jimmy Fallon and more! 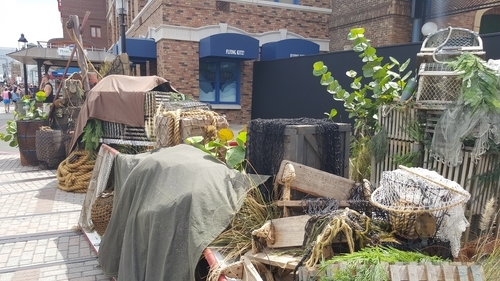 Universal Orlando prepares for HHN, Jimmy Fallon and more! 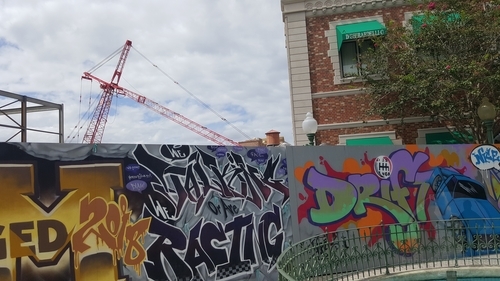 Construction is ramping up on Halloween Horror Nights at Universal Studios Florida. 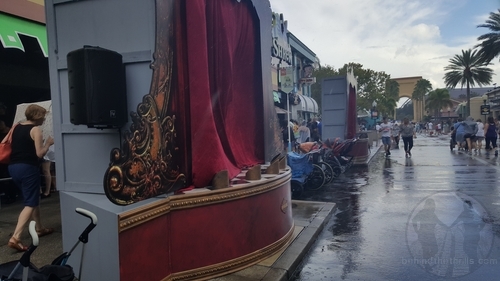 With less than three weeks away, tons of great props are being pushed out into the streets. This year’s set looks to be particularly detailed, which makes hopes high for the original concepts. One of the most intriguing (and small) sets is the set up for Dead Man’s Wharf. 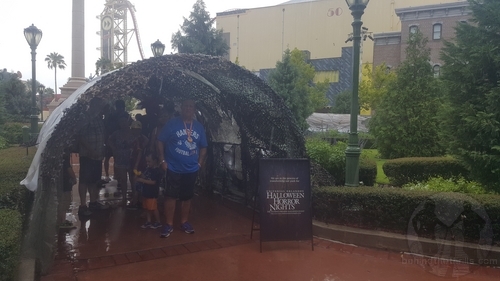 The scare zone is set up in front of the former Disaster area. It boasts tons of crab boxes, and a small wrecked ship, the Annabel Lee. A ghostly figure is set up on top of it, and it makes us wonder just what we are going to see being drug from the depths. The rest of the park is also full of small props and great set ups. Check out our latest video for a tour of the park, and a look at the props. The props will be springing to life in record speed after the family friendly “Rock the Universe” hits the park next weekend. It’s so very hard to believe that we have less than three weeks until terror is everywhere! The New York area will be home to Survive or Die, which looks to be interesting to say the least. 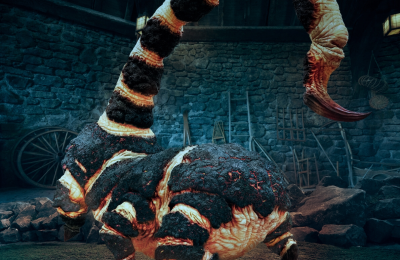 We have no idea just what will be in store, other than a post-apocalyptic nightmare. Apparently there will also be tunnels. Who knows what purpose the tunnels will serve, but for now they make for a great escape from the summer rains. In the front of the park you won’t have a “Chance in Hell”….well, actually you will, but…yeah. The scare zone will feature stages, and something fun happening over head. We can’t wait to see just what is revealed. 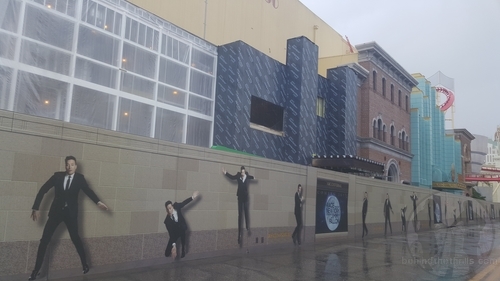 Meanwhile more construction is happening on Jimmy Fallon-Race Through New York. There is a lot of work happening on the outside, as facades are being constructed, but it’s the inside that is what is most interesting. 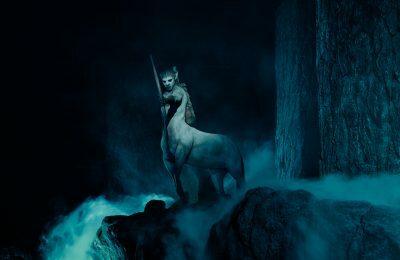 Universal has already started the hiring process for the attraction, and we are told that the ride is already starting testing. What does that mean? It means that the mechanical aspect of construction is done, and they are putting the finishing touches on the ride. We still don’t expect to see it open before Spring 2016, but it should be moving along rather quickly. Meanwhile, 2018 looks to be steaming along slowly, as Fast and Furious has begun vertical construction. This attraction was originally slated to hit in 2017, along with the latest installment of the billion dollar franchise, but the park wisely moved the opening date back a bit. 2018 gives the park more time to get things right. 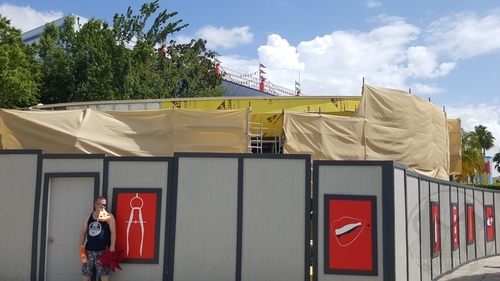 The old “Roboasis” that had Coca-Cola has been gutted, and is making room for a larger Coke area of some kind. We are told it will feature a small selection of beverages, and merchandise. 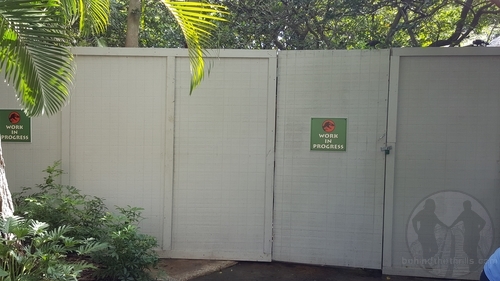 Over at Islands, the back end of Triceratops Encounter is getting some work. 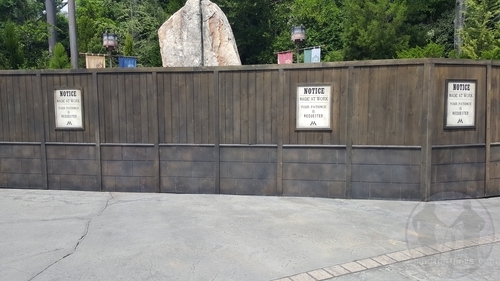 No word on what, but the front end of the old attraction is now home to Raptor Encounter. What will we see happening near Camp Jurassic? With a new Jurassic World film coming soon, we hope that it’s something very cool, and we hope it happens quick! 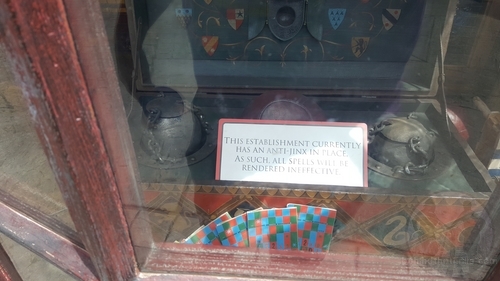 In The Wizarding World of Harry Potter, tons of small projects are happening. It looks like new spells are being added, and some old ones are being adjusted. Meanwhile, work on the stage that houses some of the shows has it shut down for the time being. Shows are still being performed, just not as frequently.